I would like to point out some differences between two American Indian tribes in dealing with “outsiders.” Jill D. Sweet writes in her essay in Sharon Bohn Gmelch’s book Tourists and Tourism about her research of the Pueblo people as being secretive and protecting their culture from outsiders. In research from Katie Flower and myself, we spent some time on the Laguna reservation in New Mexico, and the Yavapai in Northern Arizona. The Acoma, neighbors of the Laguna have two very different situations that do not depend on the amount of “control” or “secrecy” that is kept by the tribe. The Acoma live on atop a mesa. This is geographically a preferred and defensible position that Sun Tzu would approve. The Laguna, however, adjoin a national park that happens to be a gently sloping chain of hills on their Eastern border, a high lake on the Southern edge and Interstate 40 through the middle of their Reservation. Obviously, a valley nation was at a much higher risk of outsiders traveling through their property as opposed to the Acoma, safely up on the mesa. 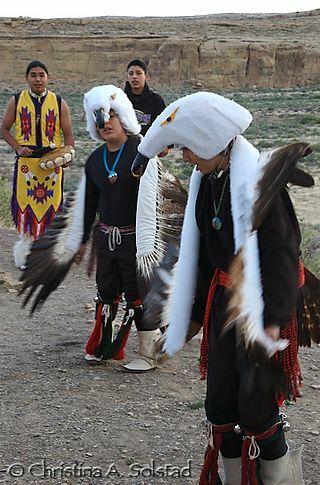 As with the Acoma, it also matters how a group deals with the travelers. In Arizona, the Yavapai began trading early with the Westward wagon trains establishing trade and growing with the nation. (To this day, they still maintain the Southern half of the Grand Canyon). Instead, of secrecy, they used bureaucracy constantly negotiating with the Federal government to maintain control over the Canyonlands, including hunting, fishing, land use and perimeter control. In agreement with Jill Sweet, the Pueblo tribes had an advantage when dealing with “others” as they were experienced from dealing with the Spanish, nomadic tribes, missionaries, and explorers long before mass tourism set in. The Laguna are a modern exception possibly because the location that had protected them in pre-modern times, is eating away at their territory with modern transportation. It seems also that the Laguna could not, or did not defend their tribe as well as some of their neighbors during the Western Expansion from 1650-1900. Thanks for listening! Write back with comments/ insights/ or critiques.